The Louis Royer Eloge Cognac is a limited edition, very unique, Grande Champagne delight. For the first time in the very long history of the house, a cognac has been created specifically for the prestige market. The blend of premier cru eaux-de-vie is a celebration of Louis Royer's passion for exceptional cognacs - a passion that has been handed down through the generations. Every drop that's gone into creating Eloge has been carefully aged for decades in the Paradis Cellar of the house, which has truly enhanced the richness and complexity of the cognac. 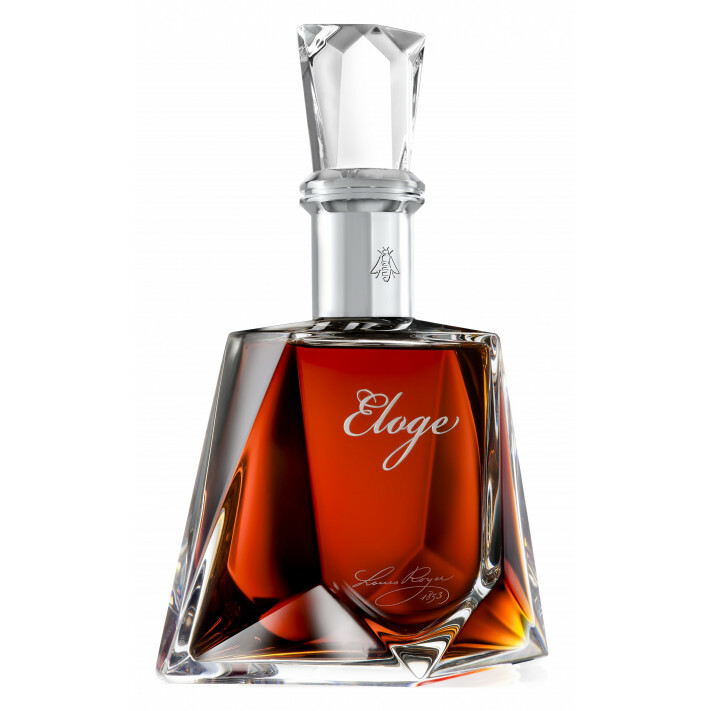 Eloge is an exquisite and unique Cognac, extraordinarily powerful with both intense and mellow aromatic notes. Its remarkable bouquet unveils a rich and complex “rancio”, the signature aroma of grand old cognacs, and offers an exceptionally long lasting finish... the holy grail for all cognac lovers. The precious nectar is nestled in a crystal decanter, designed like a multi-faceted diamond to illuminate the golden reflections of its deep amber color. Each piece of crystal is unique and handmade, preserving the craftmanship and knowledge of the ancestors of the house of Louis Royer. I've had a tasting with this Cognac and really loved it.. I wasn't aware it's that expensive. In any case, if I had the money to buy it ... I would do it. The colour is golden, the nose has a solid note. The taste is round and smooth, strong and full fruit notes. The finish is persistent. The Essence of Courvoisier has a flowery, nutty taste, that unveils some caramel notes and honey. Some dry fruit and toffee in the mouth. Tasting review: Nose: Rich yet delicate, spices combined with vanilla, backed by floral aromas Palate: Well balanced, powerful with finesse. An elegant Cognac with a truly satisfying finish.